A quick, easy, low calorie/fat meal that pairs well with rice. 1Add tomatoes to a shallow saucepan and bring to a simmer. 2Meanwhile season cod with garlic salt, pepper and Greek Freak seasoning. 3Add wine to pan. Place fish in a single layer into the saucepan and allow to simmer for a few minutes on each side. Turn gently to avoid breaking fish. 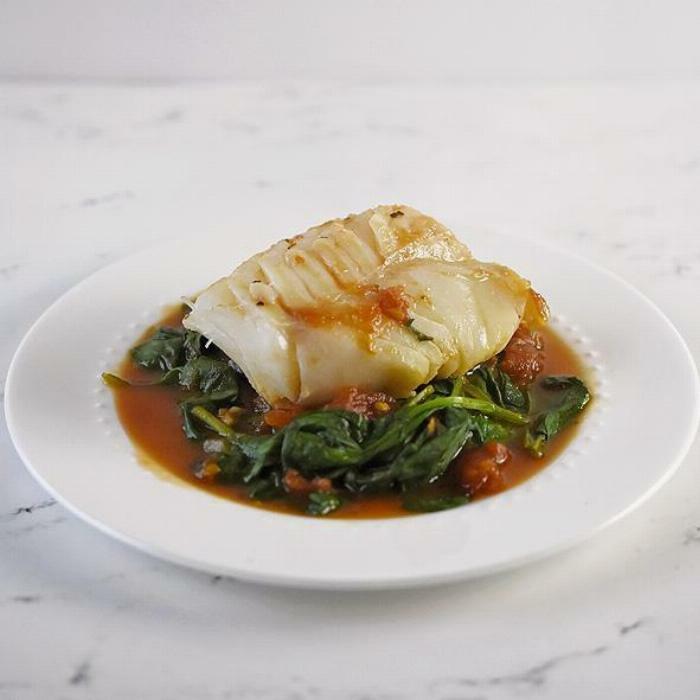 4Remove fish to a platter and add spinach. Move and turn quickly just until it wilts. Add fish back to pan and remove from heat.